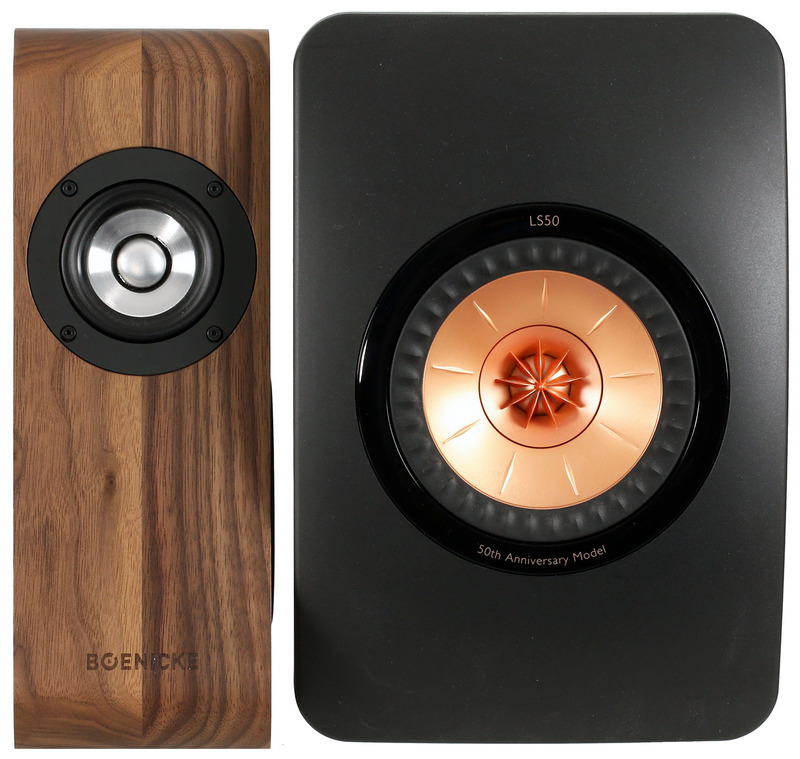 Not all audio related devices are equally interesting, some stand out of the crowd more than others. Certain uniqueness inscribed in a product’s DNA, be it its looks or technical solutions, a perceptive eye sees with ease. When that happens curiosity awakes and rusty organizational cogs are put in motion in the process. This time quality Swiss manufacturing serves as an oil, which makes things very interesting. Without further ado, Boenicke Audio W5 has arrived. Switzerland’s city of Basel is the home to Boenicke Audio manufacture. 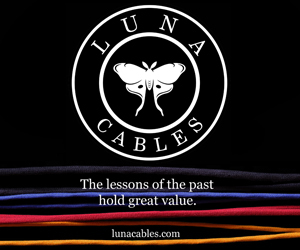 All products are assembled there from the beginning to their final form. This three men operation has one individual – Sven Boenicke – on top of all things. He’s the one making all decisions and most of work. Yet despite being the company’s owner Sven isn’t a slacker type CEO as he personally puts together and then listens to every finished product. High quality standards, no cutting corners attitude and top notch performance made him quite known in the audio world these days. 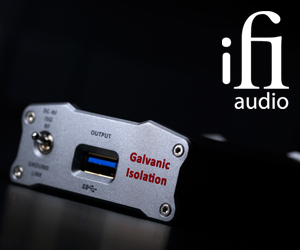 Being an exhibitor at the most important audio events in Europe and netting great results there undoubtedly also helped. As he puts it, he makes speakers he’d like to have for himself. This kind of attitude can be seen in his work and is what makes many small manufactures very likeable in the process. Loudspeaker company aside, Sven’s second trade is sound recording and live gigs are his thing. Over the last 20 years he did around 300 of them. He takes care of both activities in parallel. Our Swiss does his recording work both with and without publicity but what’s interesting is that while doing so he isn’t sitting in a control room. Front row operation is the most accurate, therefore the best one according to him. Self-made recording devices are used along the way. Various environments such as live halls, churches or intimate clubs forced him to equip in such mobile way. Even though one lacks necessary knowledge in order to check if it all ads up, it seems that Sven’s approach makes a lot of sense. 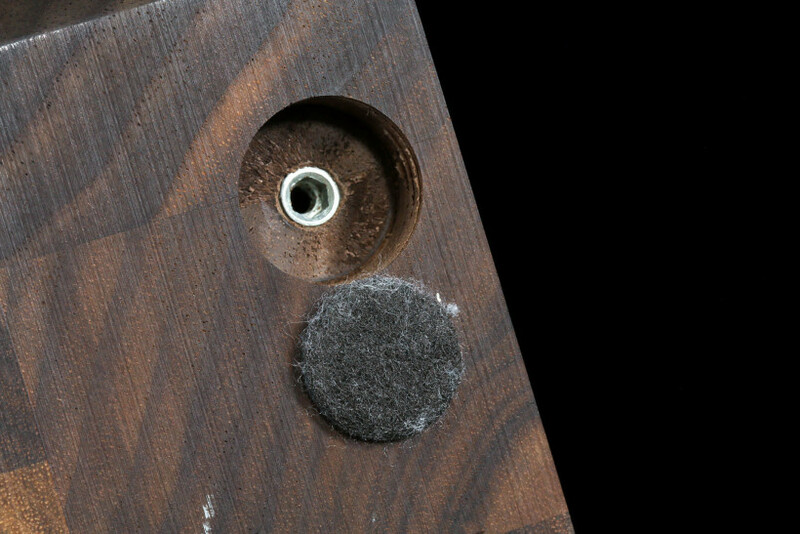 Needless to say, it’s easy to guess which recorded material is used during Boenicke Audio speakers tuning phase. 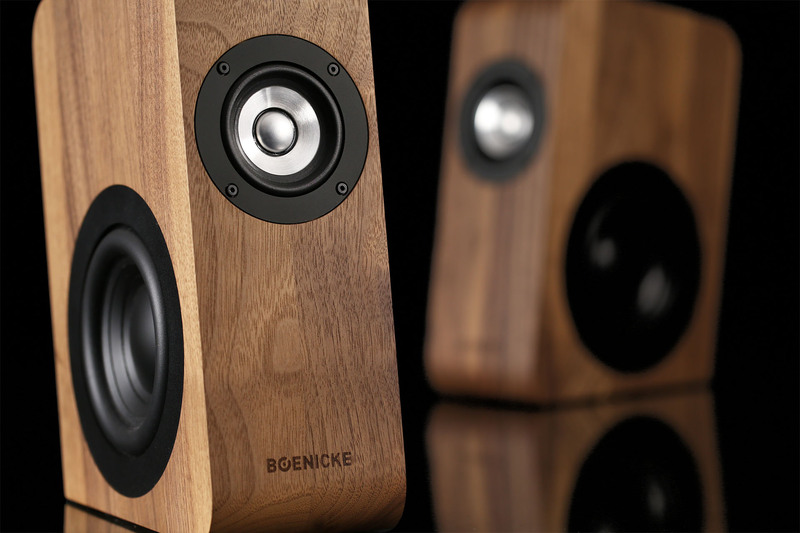 Boenicke Audio has existed for almost 20 years. 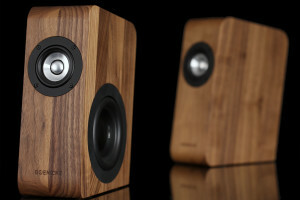 Not too long ago it was recognized only by a sparse group of small audio aficionados. This Swiss brand’s recognition elevated greatly in last years but the crew remained the same. After familiarizing myself with the PDF file containing the company’s profile/philosophy, I strongly believe that things won’t change in Basel as long as the three gents are capable of handling all tasks by themselves. Sven doesn’t see his company as a corporation. According to him, there’s nearly 20 000 speaker manufacturers on earth yet vast majority does a very similar products and I know exactly what he means. Let’s look at passive loudspeakers for a second. 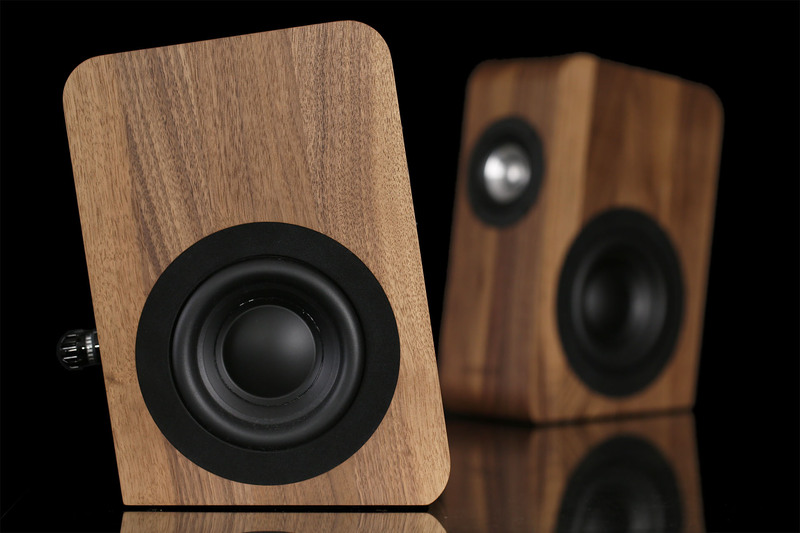 In many scenarios MDF based boxes with usual crossovers and speaker combinations are covered by a piano black foil imitations or veneers. This obviously works for many people as mainstream products are being sold. Yet Sven wanted to avoid that road from the very beginning. His desire was to make things unique both sound and appeal wise yet neither over-engineered nor fancy looking. There’s about a 0% chance that in a typical corporation he could do what he does best. Hence small yet professional manufacturing in his case was the only reasonable thing to do. Blending in and behaving like the rest in the process is the easiest way to go. But because of that approach the audio market has become impersonal and shallow. That’s why our Swiss dislikes the fact that these days importance balance shifted heavily towards looks and not sound whereas it should have been the other way around. Inconspicuously looking designs yet of a champion’s performance is Sven’s way to go. After spending a fair amount of time with his W5, more than meets the eye adage fits this particular product’s description in no less than 100%, I assure you. 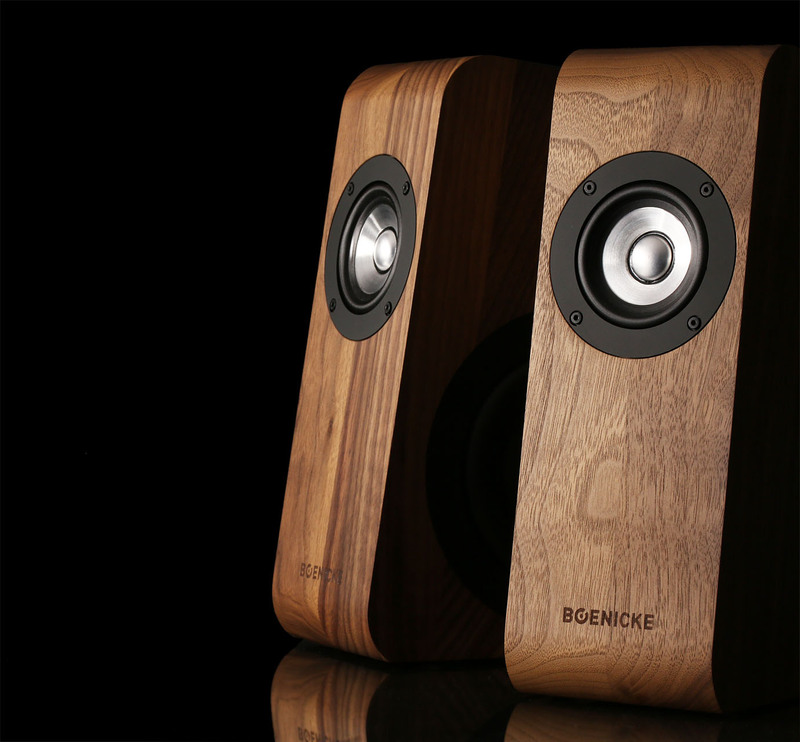 Boenicke Audio W5 is a passive bookshelf/stand monitor with several unique features. The company’s nomenclature might seem enigmatic at first but it is a very simple one to understand. Swiss speakers portfolio consists of B and W series. Former means bent wood whereas the latter is wood alone. Mysterious numbers placed after aforementioned letters are in fact diameters of the largest drivers mounted. 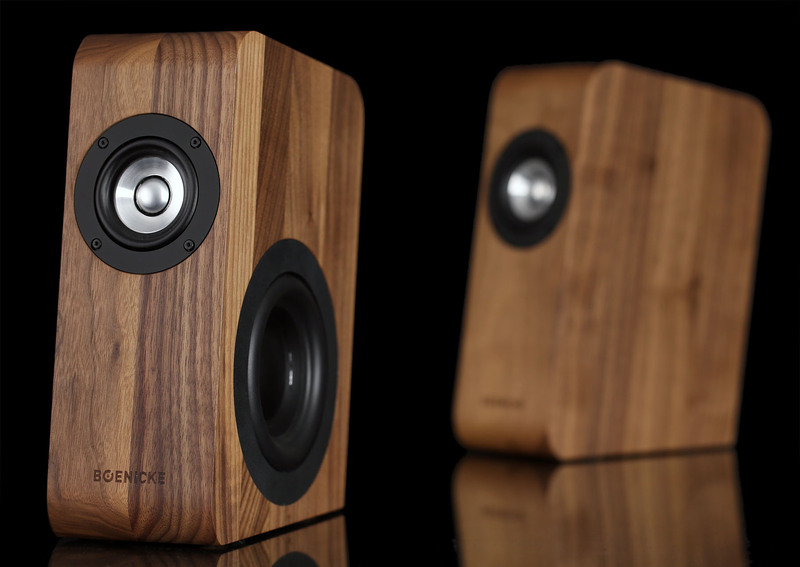 Therefore W5 is made out of solid wood and it has a 5″ midwoofer. Plain and simple. 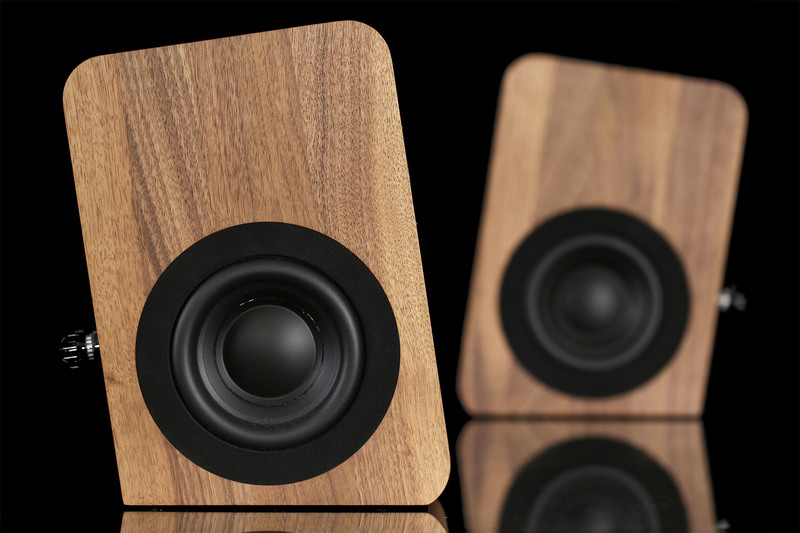 Even though W5 is the smallest and the most affordable product in Sven’s current line, all his speakers feature wooden enclosures and there is no room for any exceptions. This is a rather obvious proof of said gent’s uncompromising attitude. The cabinets are outsourced by Boenicke Audio directly from a specialized Swiss CNC manufacture. Both crossover parts and drivers are bought as well. But assembly, quality control and tuning are done solely in Basel. Mr Boenicke is greatly involved in the whole process. It’s not certain whether cost reduction or as much manufacturing control as possible is the most important factor. Maybe both are equally involved, pick your version if you must. I couldn’t care less as the result is the only thing that counts and in W5’s case it is a spectacular one indeed. 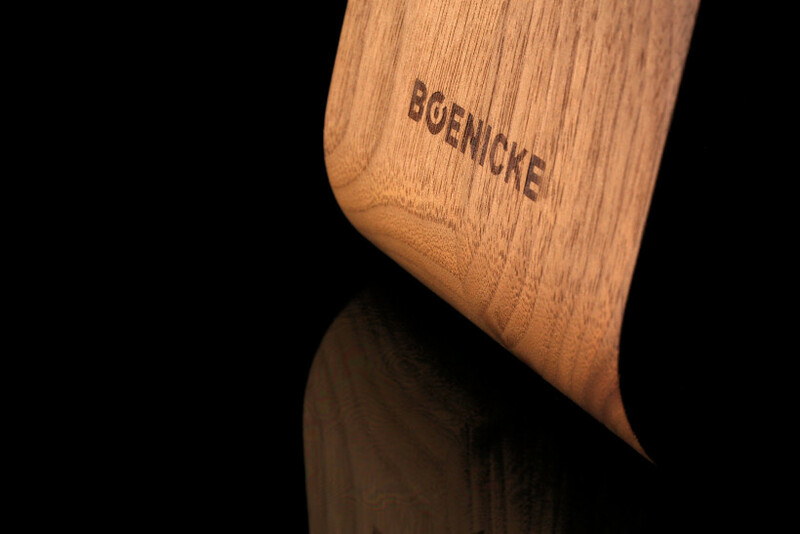 Solid wood as one of Boenicke Audio trademarks is not a coincidence. Sven uses it fully consciously as he knows that once properly prepared its resonance decay patterns are more uniform than with any other material. Well done wooden enclosures resonate in a way that our brain can handle that additional “information” very well. Just to be clear, all materials resonate. And depending on how those resonance patterns are our brain interprets natural beauty or unnatural distortion. 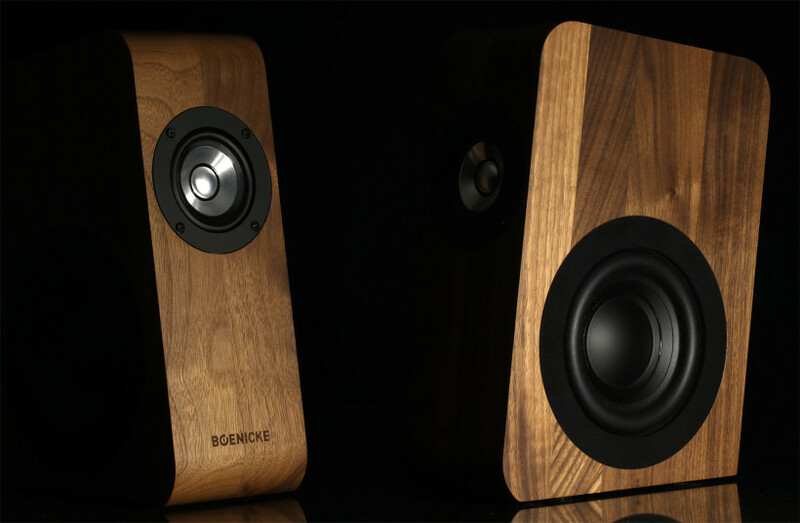 And besides being one of the best possible options sound wise, wood is a very desirable sight for purely aesthetic reasons. It can justify steep pricing and is considered as a luxurious ingredient of the whole package. 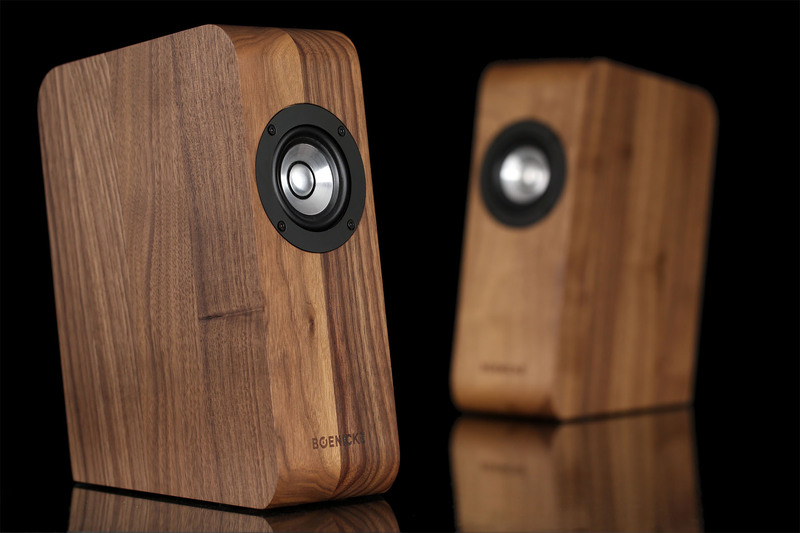 W5 is available in four different versions; walnut, oak, ash and cherry tree. Yet the scenario with universal CNC milled block and then different veneers applied isn’t happening. If the client’s eyes are happy with oaken finish, this kind of properly drilled wood enters Sven’s workshop for further hardening and polishing treatments. No cutting corners, not even by one bit. Sven’s tiniest creation’s finish is very meticulous, attention to details is outstanding. It represents that minimalistic look this publisher has always been very fond of. Simplicity combined with well-thought design quickly grabs a viewer’s attention. W5 can easily blend in most rooms in a heartbeat. Visual inconspicuousness was one of their maker’s plans from the very beginning after all. Once on hand, W5 actually feels like an expensive and luxurious product. Personally, not even for a moment I had this unwanted notion of not knowing what for the hefty CHF 3’500 parted for with my wallet. It’s undeniable that huge doses of both care and passion are a part of wooden job this thorough. To paint a broader yet somewhat subjective picture, the very same things can’t be said about also very decently made and famous LS50 model. No expenses were spared on those as well. 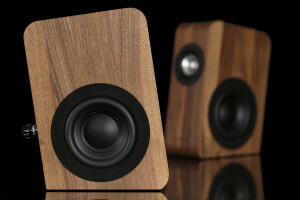 But it would be unjust to place said speakers on the W5’s build quality shelf. 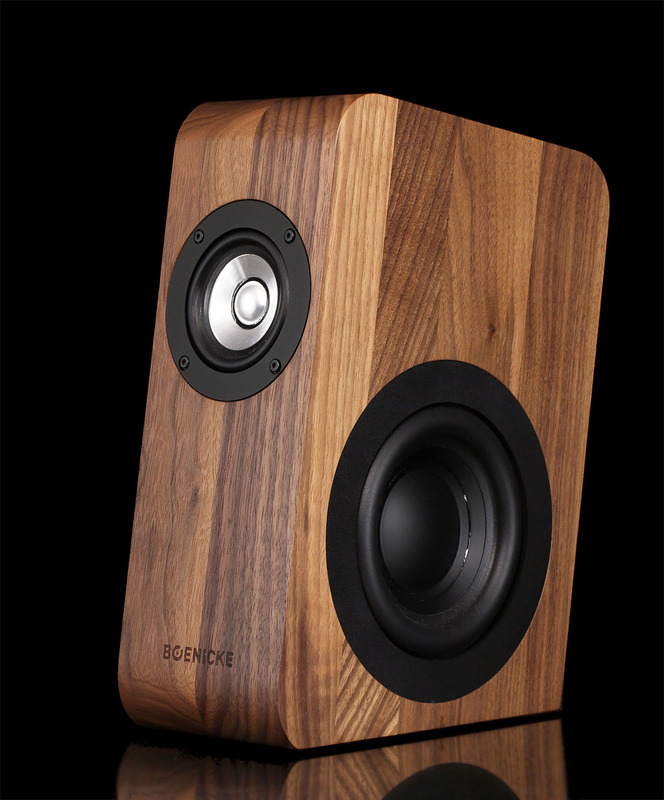 W5’s cabinet is a two piece set. Both halves divide into smaller wooden segments and are mirror alike reflections one to another. Well, almost. 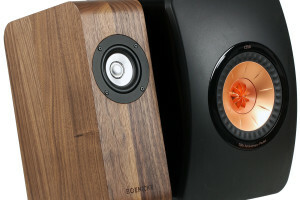 One of them has a rather big hole machined out on the side as the midwoofer has to be put somewhere. Cabinets are glued together seamlessly, to a point where the connection line is impalpable. Obviously wooden texturing is revealing in that regard yet sensing said suture with one’s fingers while keeping eyes closed is virtually impossible. 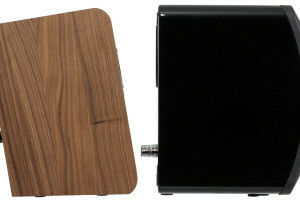 Measuring 104 x 231 x 293 mm (W x D x H), weighing 3,5 kg and an inner volume of 2,8 l, W5 is about two times smaller than LS50. To put things into a broader perspective, a regular 1,5 l bottle of water is usually both thicker and taller than W5, that’s how tiny those are. 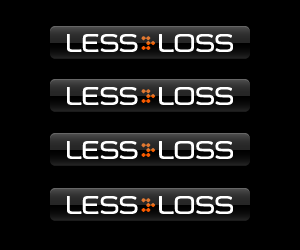 This leads to great fitting capabilities Sven’s monitors possess. 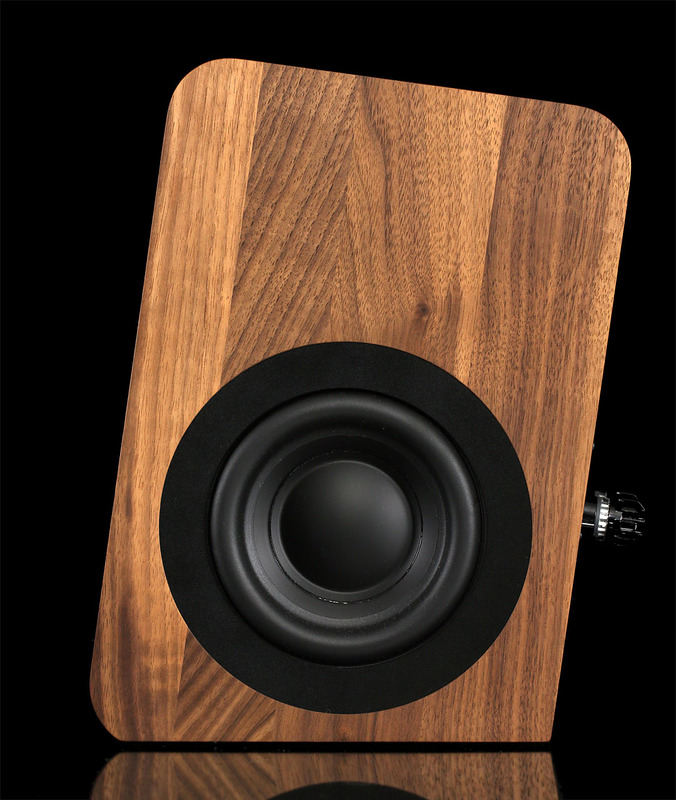 Placed on a desk and both sides of conjoined 24″ monitors happening to be my home setup, said speakers with their biggest membranes firing outwards work flawlessly. Our Swiss pays a lot of attention to visuals and he clearly dislikes typical designs. Hence W5’s peculiar shape with its front baffle a bit inclined. The very same story is with a shorter rear wall and a cabinet’s top going down gently from front to back in the process. All horizontal edges are neatly curved whereas vertical ones remain sharp. Said measures certainly make W5’s visual appearance agile. Shortly after the speaker’s arrival, my wife was willing to sell you know whose kidneys in a heartbeat, just because in her eyes the product supplemented our IKEA based living room perfectly. We established a compromise that without one I still could live fairly happily. However gruesomely this may sound. Rather in minimalistic style, W5 has no ornaments anywhere in sight. 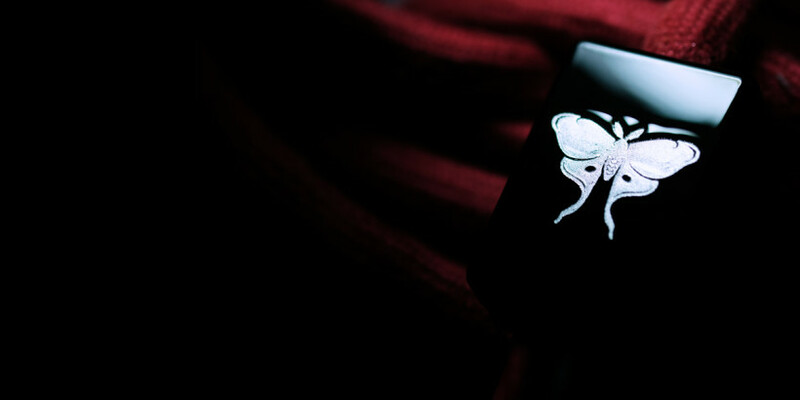 The cCompany’s logo and the widebander’s silvery membrane might be treated as such by some people. Yet it’s time to get used to that look as W5 arrives without a grill and this element alone can’t be bought. 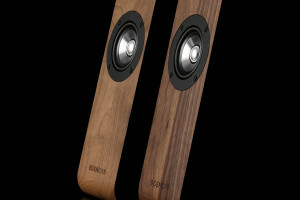 Knowing Sven, sound quality is the reason. 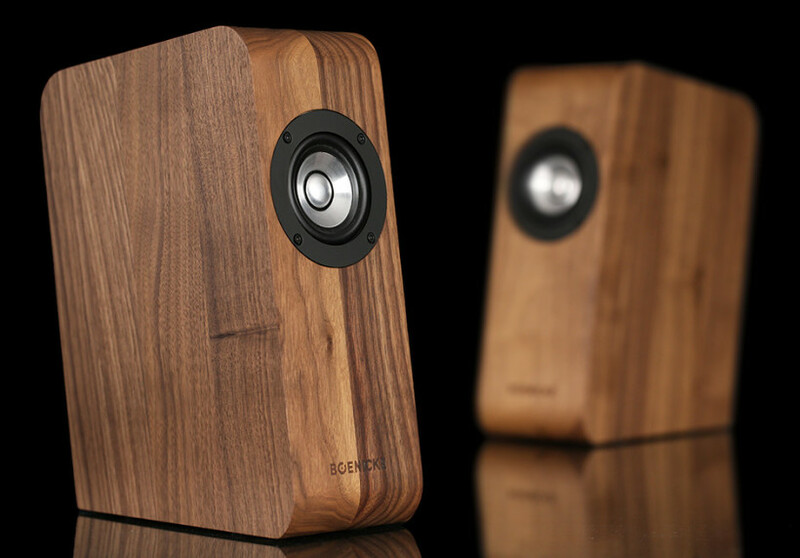 There are four milled apertures on the speaker’s bottom. Ordinary spikes won’t do but two solutions are available instead. 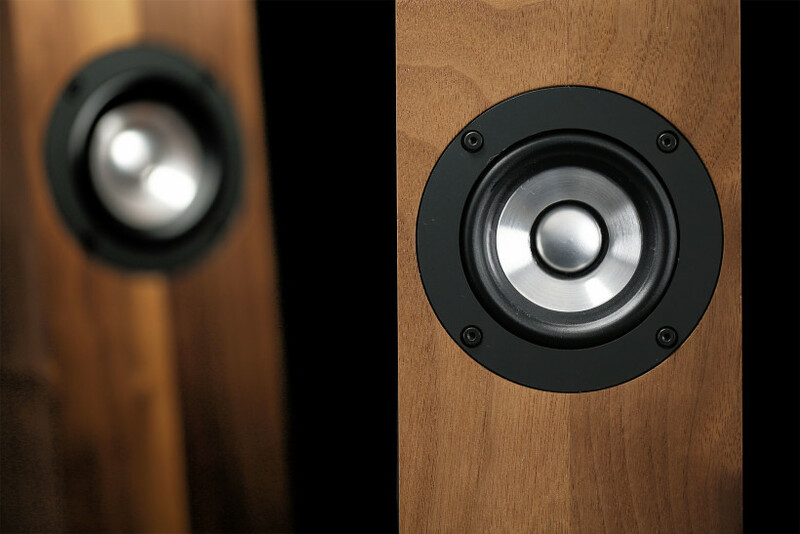 The first option consists of custom made and steel rod alike stands which ought to be screwed to speakers undersides. Because of this product’s narrowness it’s virtually impossible to find something that’ll fit better. A set of small feet with spring loaded mechanisms is the nearfield or bookshelf dedicated option number two. Several nice things are going on on the monitor’s back and a port opening is one of them. Therefore assumptions of W5 being a part of transmission line family are in order. But a bit angled upwards, wide and flat gap is of a bass-reflex kind. 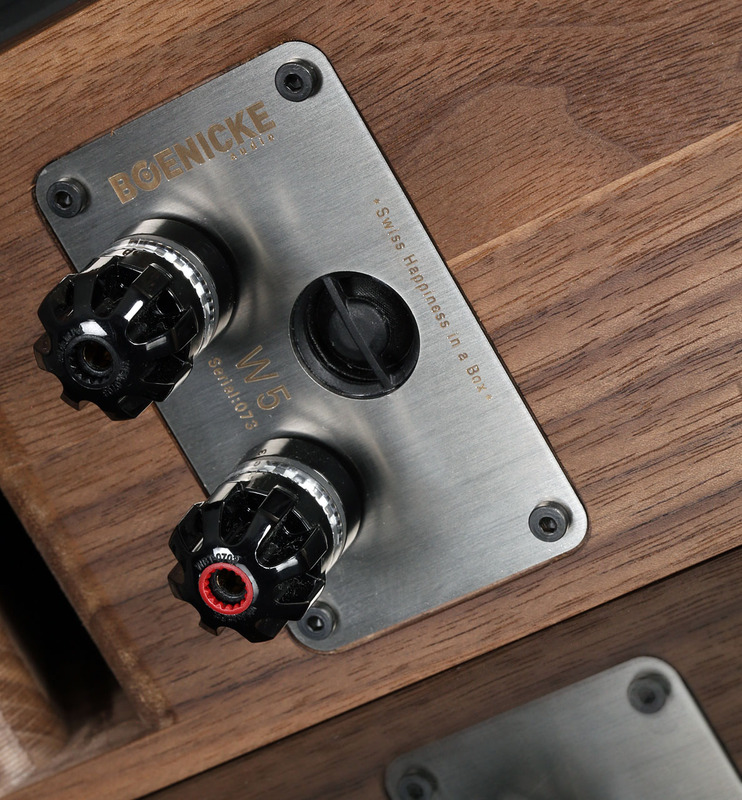 A stainless steel plate with pricey WBT-0703 Cu nextgen speaker terminals sits above the port. Those are parts in W5’s price range. 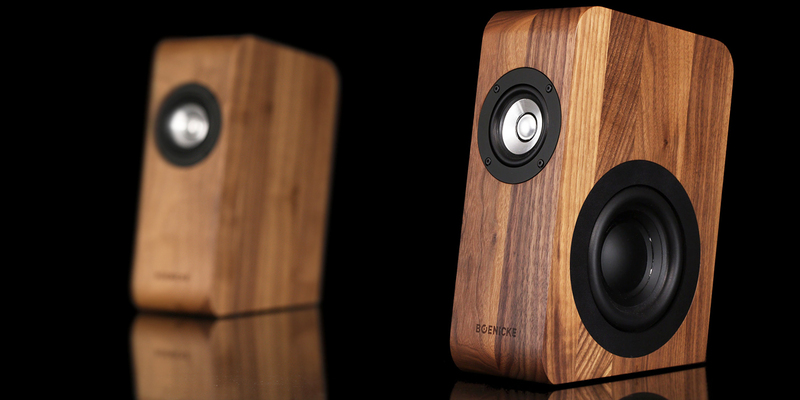 One of the key features on the speaker’s rear is the smallest Tangband tweeter Sven could find. But it’s not an usual suspect as its role is to amplify ambience whereas soundstage impact is the outcome. Spaciousness is one of W5’s trading cards, more on that later. Rear baffle being slightly tilted down makes the tweeter fire downwards which leads to waves reflecting from walls and desks. Trickery? Perhaps, but it works like a charm. 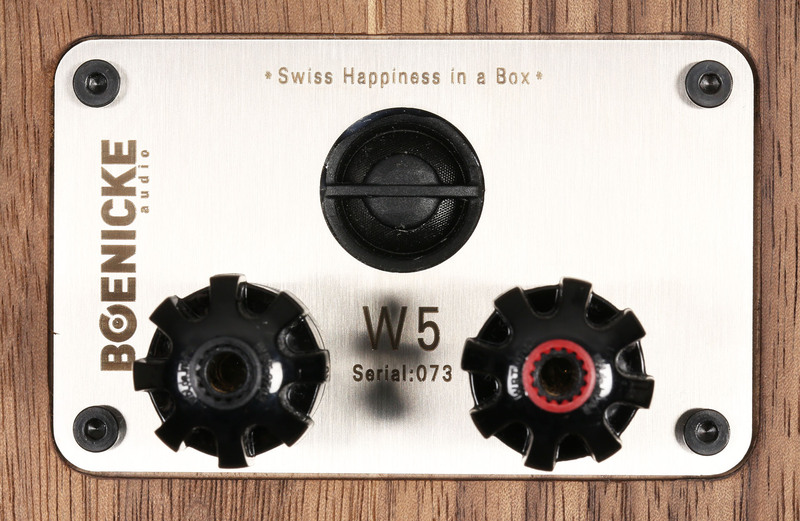 Lastly, serial number engraving shares the space with a “Swiss Happiness in a Box” sentence. Interpretation is arbitrary of course yet it’s hard not to smile after reading this for the very first time. It’s hard to get to W5’s innards. Damage done in 100% hard. Therefore I can only share informations Sven provided. 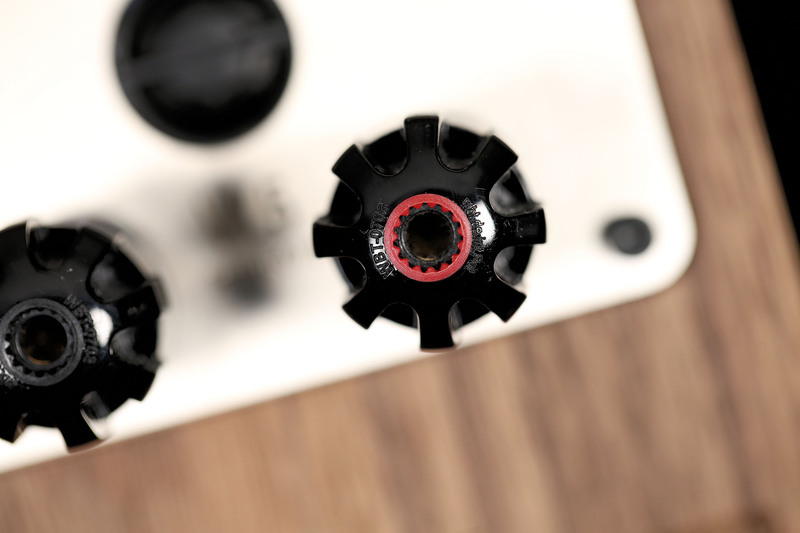 The F85 model by Fountek sports an aluminium membrane of 4,3 cm diameter and sits in its own bullet like chamber, whereas the 14,3 cm wide SLS driver by Peerles is side mounted. The whole frequency range is shared between those two only. Therefore W5 is 2-way design with 2rd order Tangband twist starting at 6600 Hz. Our Swiss engineer uses only drivers with parameters that allow him to use very simple crossovers. 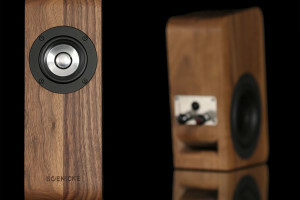 Fountek’s F85 widebander starts singing at around 200 Hz. During really loud listening it becomes apparent that it actually goes that low. The bigger driver takes care of low and mid frequencies. 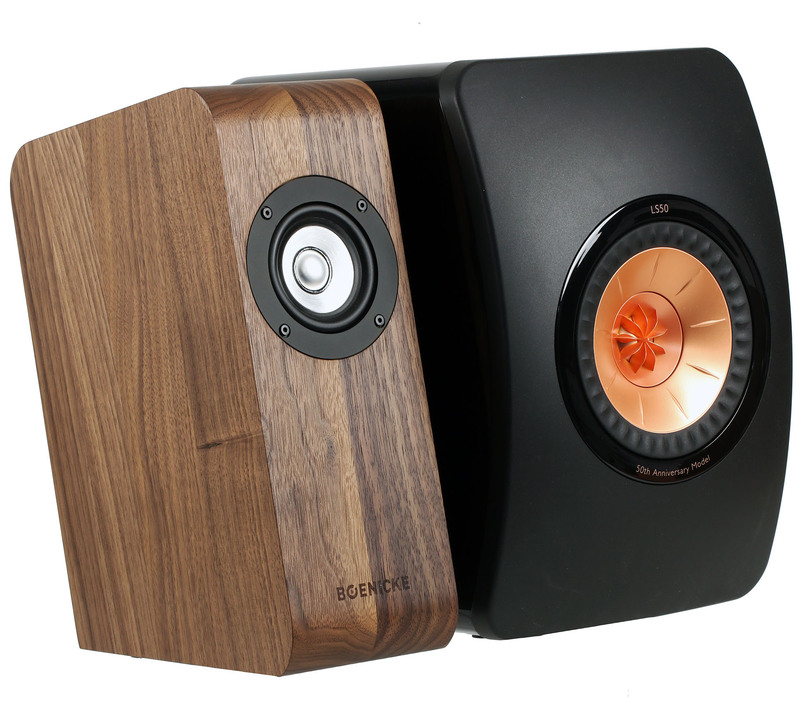 1st order crossover between side and frontal speakers separates them at 600 Hz. 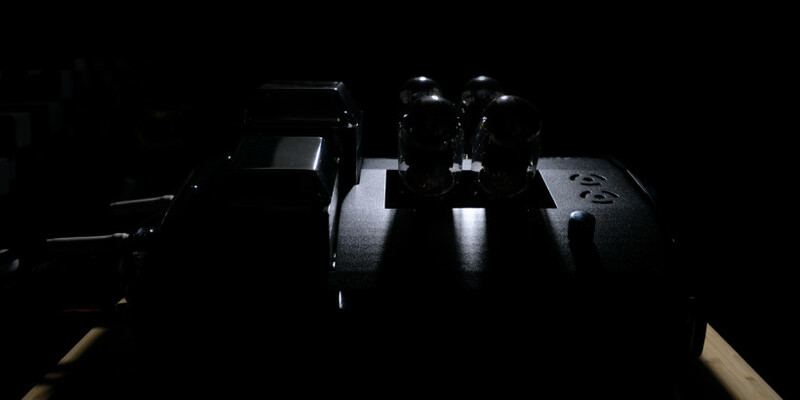 Several coils and capacitors from Mundorf’s M-Cap series are involved. Despite being the most affordable ones in this German manufacturer’s portfolio, that’s still a solid choice to make nonetheless. The wooden cabinets are slightly damped with lamb wool. Excluding vertical surfaces, W5’s inner chambers are heavily curved on the CNC stage. Said roundings prevent standing waves in the enclosure’s most sensitive parts. 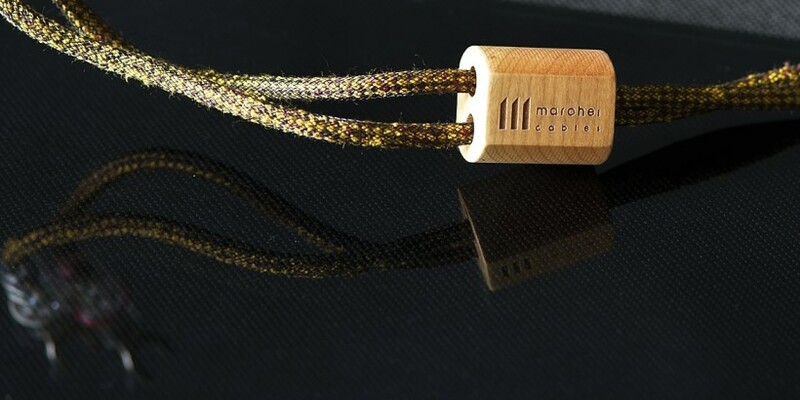 According to Sven, key elements glued together are the most natural way of handling wood. 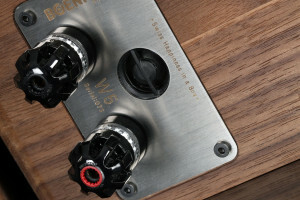 One memorable thing Sven shared with me is W5’s crazy potential. Many things still can be achieved with said model yet inner space limitations serve as an effective showstopper. Our Swiss even thought about an external crossover system with Duelund capacitors involved. According to him, W5 deserves treatment of such sort and benefits from it. 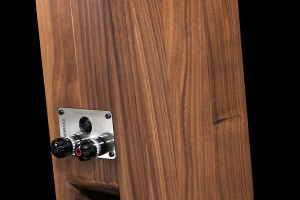 Crossover components wise, it doesn’t get much better or more luxurious past said Danish brand. Knowing that for a handful of those one can get oneself a car for example… you get the picture. 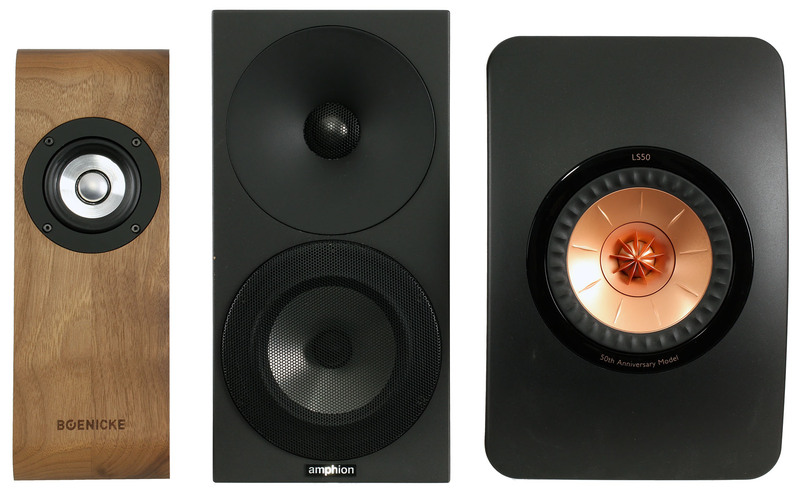 Size difference alone between W5 and LS50 might be a good enough reason for some people to simply not become interested in Sven’s compact monitors. 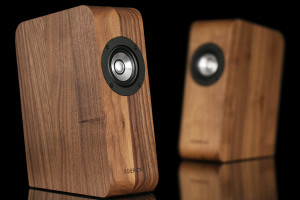 Yet exercising “small speaker won’t perform” or “one doesn’t spend this amount of money on a product of such sort” mantras is a big mistake to make this time. Even though physics can’t be cheated, open-mindedness is strongly advised. Positive contradictions are awaiting those who are willing to try it. Talking about leaving prejudicial thoughts behind closed doors is one thing and actually doing it after looking at W5 is something completely different. 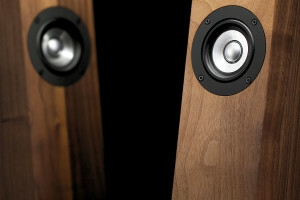 If big boxes equipped with big drivers deliver big sound, small ones make it smaller, aye? As it turns out, in a very curious case of W5 this doesn’t work. 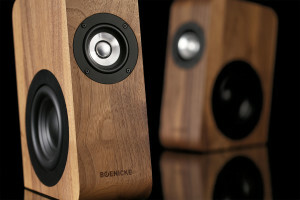 It’s a matter of minutes and such thinking is gone for good as those monitors deliver it enormously big soundstage wise. That’s merely the first one of many surprises Sven concocted for the unsuspecting listener, more on that in a bit. He says that these speakers sound the way they do because of their size. It’s high time to believe the man as he clearly knows what he’s doing. 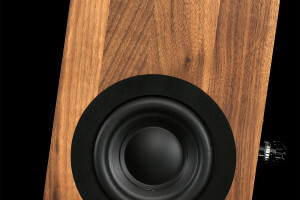 The biggest driver might somewhat suggest to an unknowing person that bass is the main performer and since there are two tweeters mounted, W5 delivers a V-shaped tonal balance. Far from it. It’s quite even-steven all across the audible frequency range. That said, bass has “only” additive value. It doesn’t steal the listener’s attention. Moving on, W5’s size might suggest that those belong solely to nearfield environment. Wrong again, in larger areas our monitors feel as comfy as fish in the water. When seeing a tweeter equipped with a round aluminium membrane, my ears often bleed evenly before anything happens. It’s just a provident measure due to several unfortunate adventures with drivers of such sort. Many listeners suffer similar disorders. 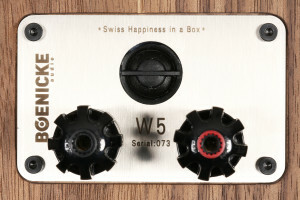 Practice shows that W5’s sound is a lot of things yet sharp and sparkling treble isn’t one of them. Not even marginally. 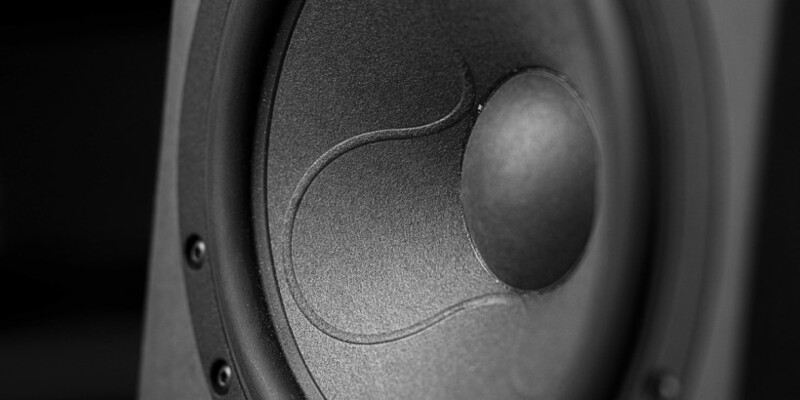 Sven’s monitors are very smooth performers, that’s their key feature number two. So you see, there is a lot of positive things going on with this particular model which don’t necessarily add up when someone badly wants to judge a book by its cover. Certain aspects can be predicted but not all of them. Needless to say that after leaving a crystal ball alone and then simply going with the flow instead, good things tend to happen rather often. W5 worked in several places and a small shelf with TV nearby was the first one. A nNearfield setup on my desk followed and heavy stands in an acoustically adapted 25 sq. meters room with low ceiling were last yet not least hosts. Each and every time this familiar soundstage and clarity were apparent. Certain aspects changed a bit from one environment to another. 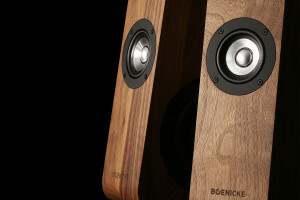 Yet their unique Swiss charm, namely spaciousness, aforementioned clarity and smoothness were heard regardless of the listening environment’s size or quality. In this publisher’s case, the biggest room clearly suited W5 the best but subjectively the most enjoyable sound he achieved within his own four walls aka. in a nearfield setup. Yes, due to room limitations it wasn’t perfect. But in this unfriendly environment the best one I had a pleasure to listen to. In an audiophile world things often get exaggerated. Instead of staying in the barely audible sphere, small differences do become performance upside-downers. To check how deep the rabbit hole is, my wife handled test subject’s duties and reasoning behind such turn of events is rather simple one. Because I truly nearly constantly deal with audio, according to her the less she has to do with it the better and hopefully that’s perfectly understandable to everyone. Therefore it can be safely assumed that Magda has no idea what is what in my hobby / job. 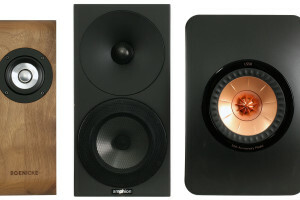 Moving on, if she tells me after several switches back and forth that “these (W5) perform much better than the black ones over there (LS50)” and then says why they do, without a professional nomenclature but in a perfectly understandable way nonetheless, then it’s safe to say that we can call it a day. Said scenario isn’t a case of barely audible differences but plainly big ones. From time to time experiments of similar sort are in order under our roof, just to make sure that both my hearing and mindset are still in check. Painting that picture surely prepares a person or two for things below. 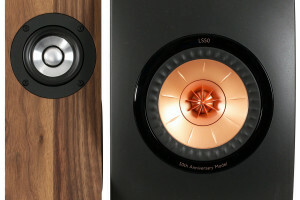 The widely known KEF LS50 served me for quite some time. It seemed a perfect opponent for W5 and is in fact considered by many as an effective giant slayer. 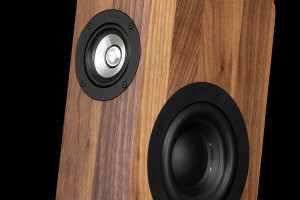 KEF’s jubilee concentric driver mounted in plywood cabinets gets the job done. Soundstaging, coherent presentation and disappearing ability are aspects to behold. LS50 texturing is rather nice overall, yet contour and stiffness are also a part of the whole whereas bass is the major weak spot. Its upper band’s forcefulness and hollowness is too tiresome in the long run. Yet overall and due to generous price-performance ratio, LS50 is considered as an outstanding joy provider with very few strings attached. In its price range that is. 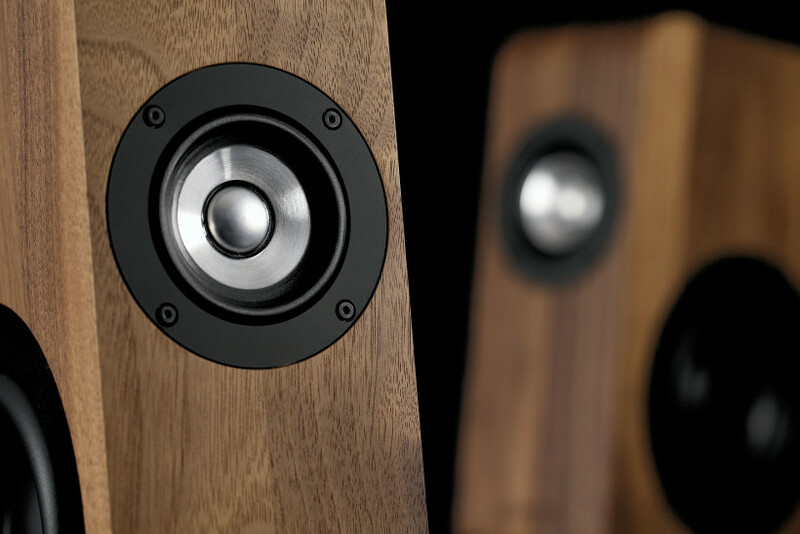 Now putting W5 against LS50 is like comparing a live show experienced in the best row to… listening to a pair of ordinary speakers. At first, the latter model impresses with its direct and showy attitude. Everything is simply there. 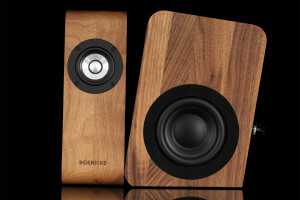 Then after the very first switch and mere W5 accommodation minutes, KEF’s enormously big and showy bubble breaks as sound quickly gets an instant injection of vividness, coherence, organic texturing and smoothness without loosing anything in the process except bass amount. Dynamics and resolution are still there with W5 yet things are far more enjoyable and natural. 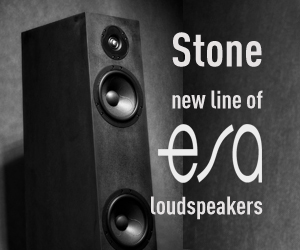 After switching back it becomes clear that LS50 simply can’t perform on such high level. 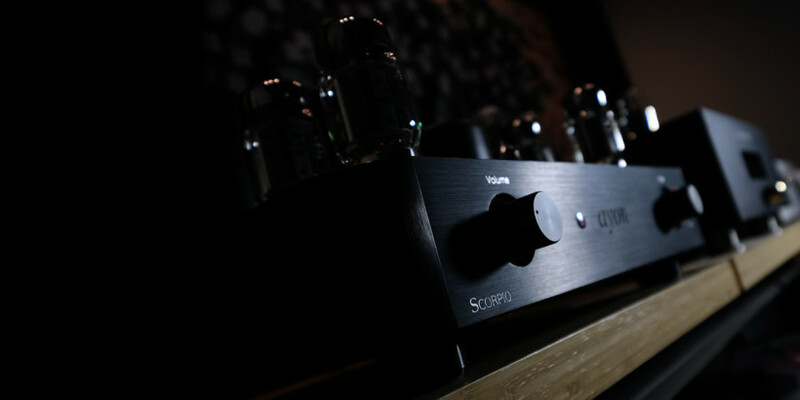 Not to mention that in terms of spaciousness W5 plays wider, deeper and higher, paints phantom images in more refined and threedimensional way and is much more effortless in the long run. 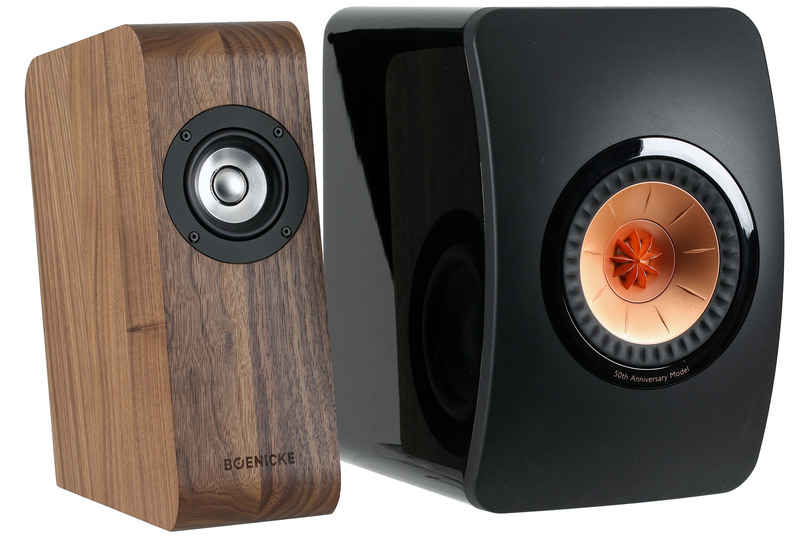 Said speakers soundstaging is staggering and this alone shows that two products from greatly different performance levels have met. A similarly huge gap can be heard in terms of vividness. 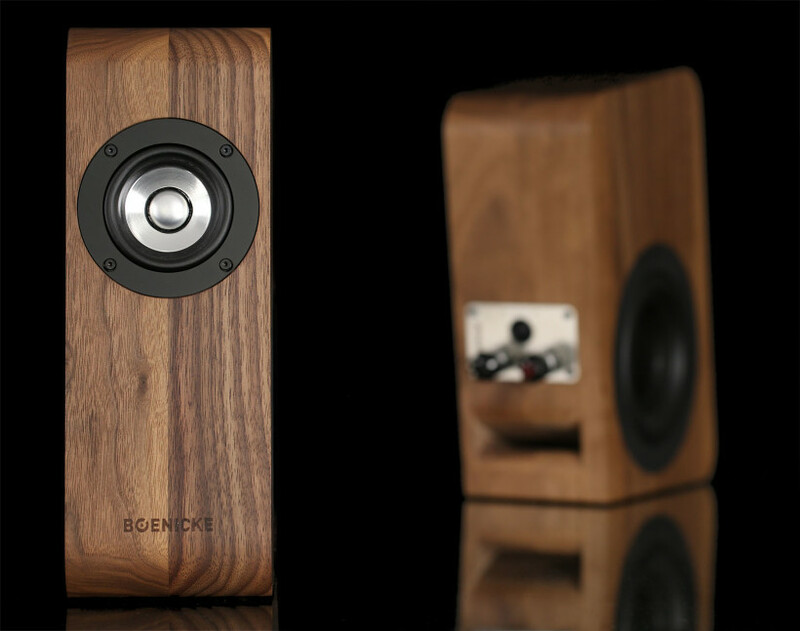 W5 isn’t neither softer nor more polite in comparison to LS50, I’d say it’s much more natural and evenly tuned instead but never boring. To paint a bit different picture and looking from the d/a conversion angle, picture Chord Hugo against a source three times cheaper. Individuals familiar with said English champion know that comparisons of such sort are more than unfair sound wise and that exactly happened between W5 and LS50. It was plainly unjust, the law of diminishing returns hadn’t applied this time and that’s a very rare thing in our hobby. 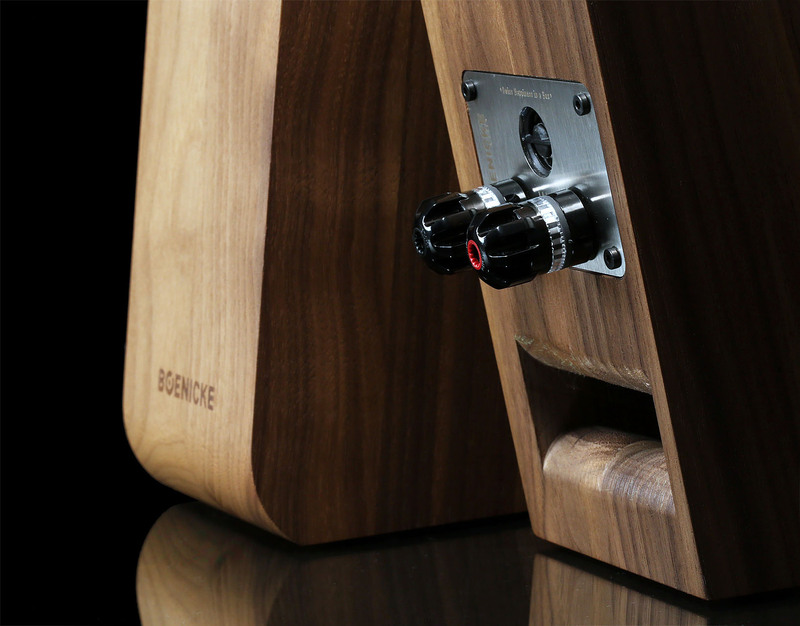 There is no grain in Sven’s monitors sound, no sharpness. I honestly know of no setup which could force those to behave in such way. On top of all things, this airy yet quite saturated and marvelously detailed presentation is addictive. To a point where listening for pure pleasure occurs instead of focusing on where weak spots might be. That doesn’t happen that often, especially when several other products are waiting for their turn and deadlines begin to weigh in more than usual. 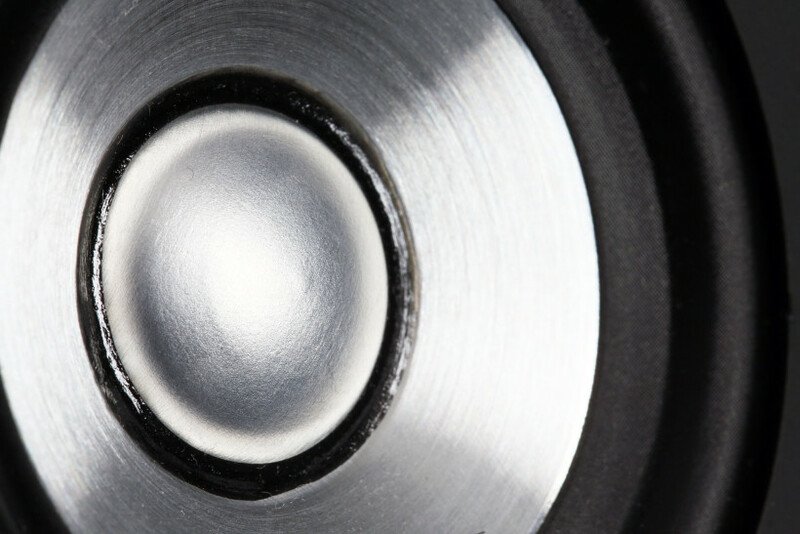 W5’s sound is neither thin and overly light nor dense and fuzzy. It’s just spot on and universal in the process. Yes, W5’s bass doesn’t reach the lowest depths of hell and Sven knows that, hence Sven’s subwoofer simply known as Sub presumably completes the picture in a proper fashion. But aforementioned frequency part makes things up in texturing, resilience and decaying departments. It’s not too polite or barely noticeable, it’s there and in fact blends with upper frequencies seamlessly. Midrange is lifelike and present whereas the diverse and smooth treble seals the deal, which is surprising to say the least considering what kind of driver gets the job done here. W5 isn’t expensive companions shy. In order to get the best out of it… those are in fact needed. 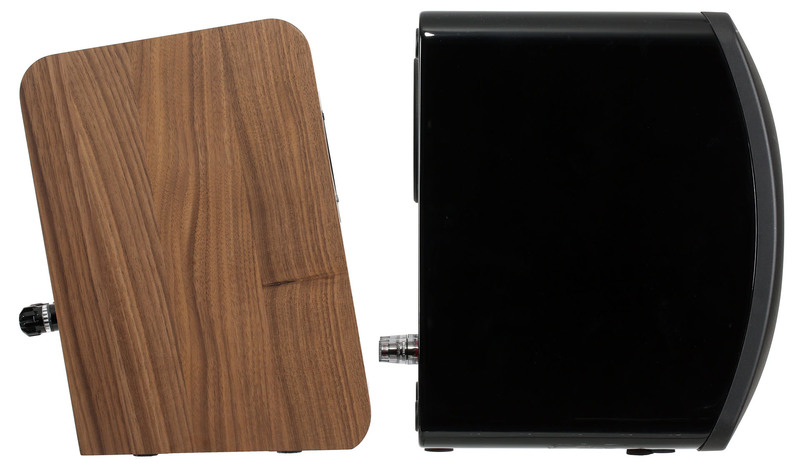 Yet truth be told, I’m certain that Hegel’s H80 and Swiss boxes duo would make many listeners happy to a point where they could grow old with it. 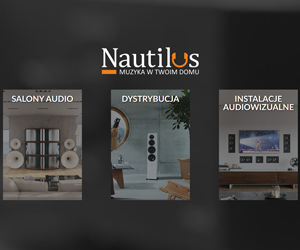 Additional saturation, multi-layered space and resolution that comes with FirstWatt’s F7 which would be then complemented by an excellent AURALiC Vega, surely would net an amazing outcome without the need of making any adjustments for many years to come. 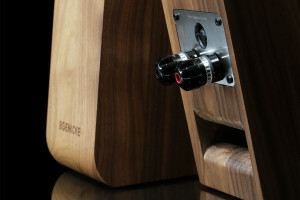 Even for a very serious audio aficionado with well-developed taste. Long story short, unique W5’s are the best monitors I’ve had a pleasure of familiarizing myself with thus far. 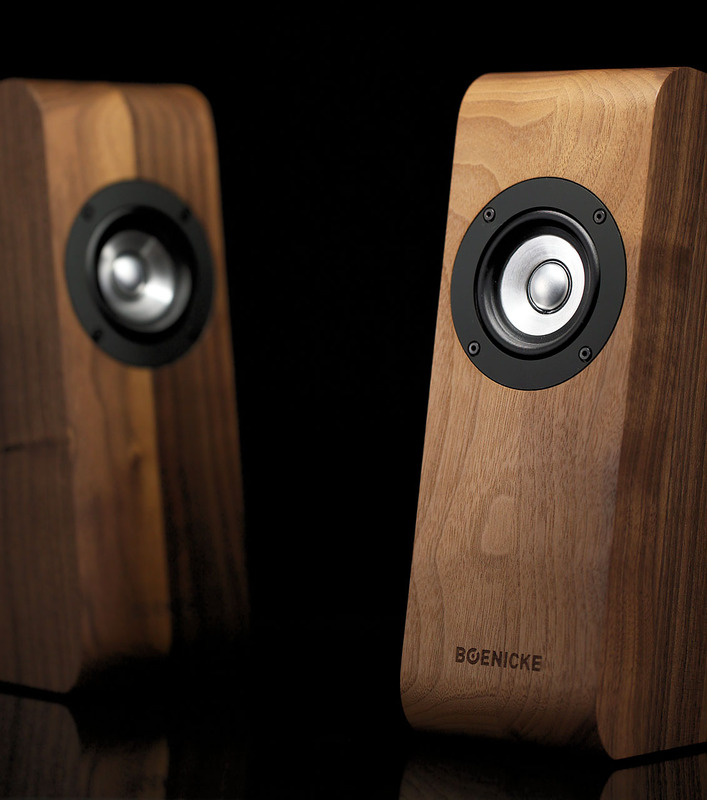 This very product is no less than an audiophile macho syndrome slayer. A pair of floorstanders or even a whole system can be bought for said speaker’s money equivalent. Yet those are merely two out of many listener’s campfire glamour injection methods. 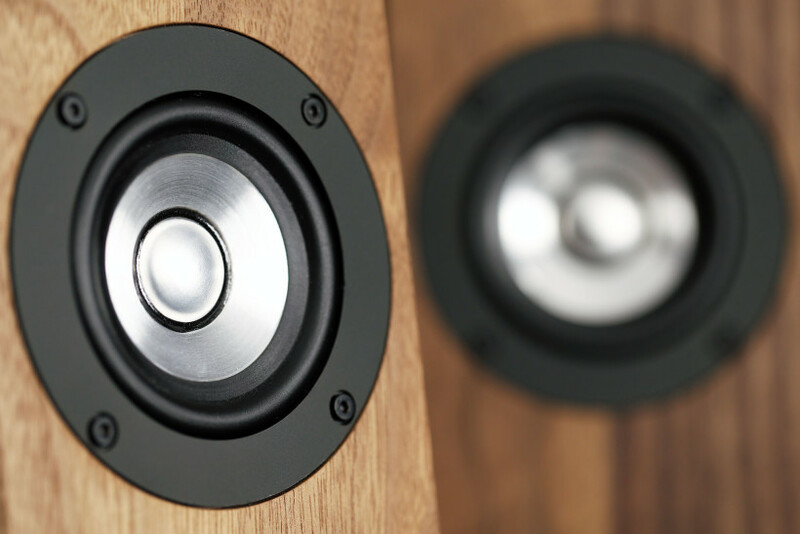 W5 proudly stands in the opposition to usual solutions and in fact is as equally capable of bringing the conservative audiophile to the ground. But in an exceptionally brutal and unscrupulous fashion for various reasons. The majority of such people simply won’t treat Sven’s conquerors of male ego seriously, yes. Yet speaking bluntly that’s a cardinal mistake to make. More than meets the eye, let’s not forget about that. 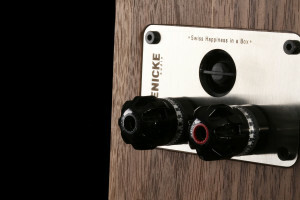 Boenicke Audio W5’s inconspicuousness is merely a facade, a mind trick master Yoda himself wouldn’t be ashamed of and on top of all things it surely serves as a manifestation of talented Sven’s black sense of humour. 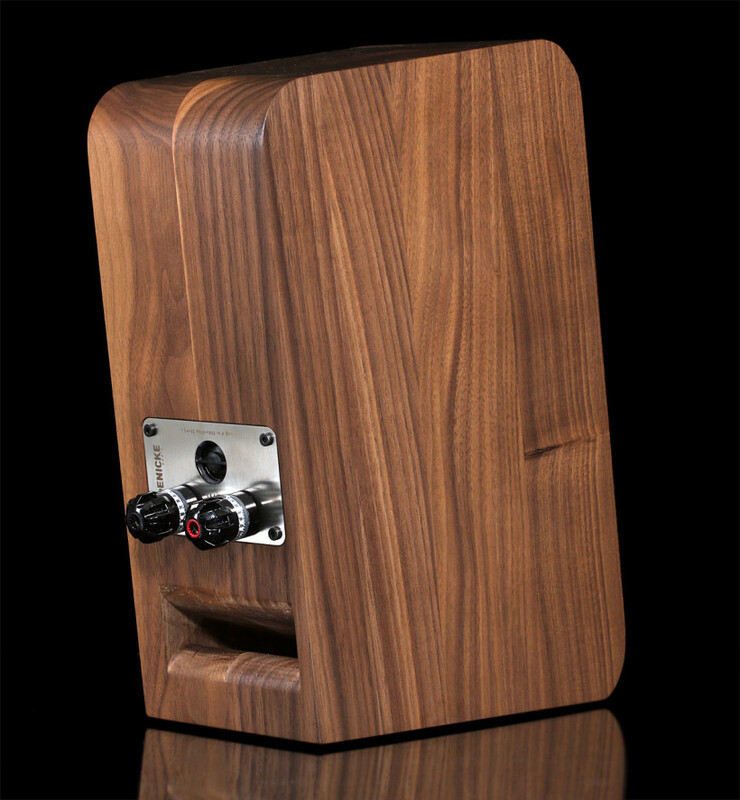 At this point I can only add that his Swiss Happiness in a Box is an end-game nearfield speaker for yours truly. 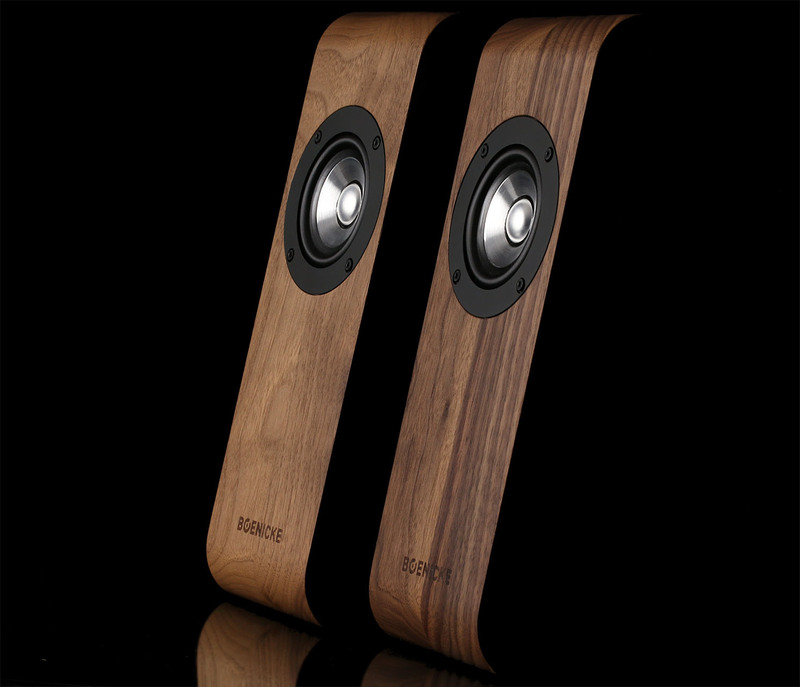 KEF-s jubilee boxes turned out to be the same thing Methadone is to a heroin addict on a rehab, mere half measure that is. 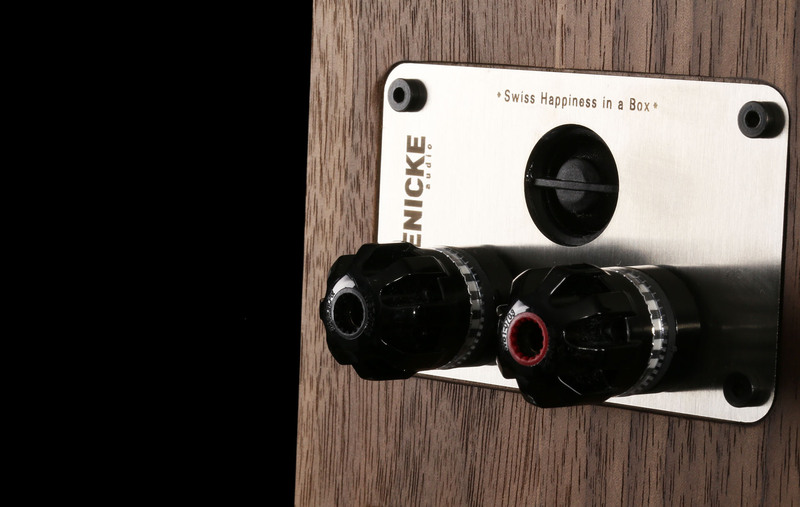 Hence they had to go, Boenicke Audio W5 stays and that’s probably the best recommendation I can give to this Swiss stunner. ‘Till next time.